The Philippine Advanccement Through Arts and Culture (PATAC) strongly condemns the violent dispersal and response to the assembly of Kidapawan farmers who peacefully presented their request to the government. As a Filipino-Canadian organization, PATAC is sending support to the families affected by this. 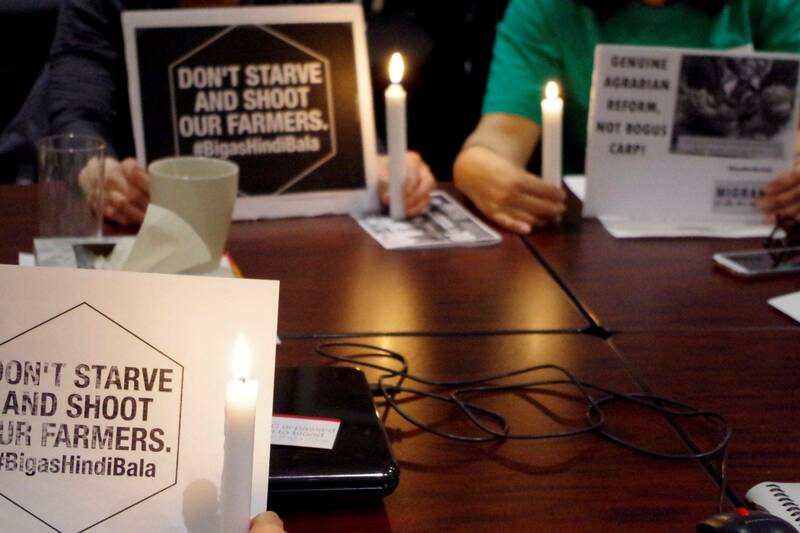 To this end, we are also launching a campaign to help the Kidapawan farmers, "Isang sakong bigas para sa Magsasaka". Please join us in this campaign, "Isang sakong bigas para sa Magsasaka". A donation $10.00 (cost of a sack of decent rice) will do. You can donate online by paypal or send your cheque through Philippine Advancement Through Arts and Culture, 30 Minerva Ave. Scarborough, Ontario. Your donation will be published and a report of the disbursement will be published on our website.